sustainableIT’s consulting services deliver a programme of sustainable computing based on market leading expertise and experience. We work with our clients to ensure that the correct metrics are in place to establish a valid baseline which is used as a benchmark to measure effective change. Building of internal business cases and we provide a wealth of information that adds value to the process of justifying the financial benefits of green IT initiatives. 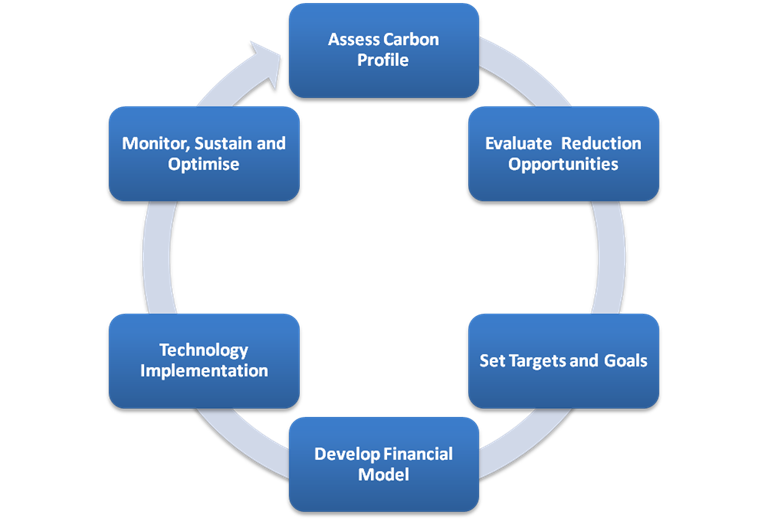 Assess opportunities to lessen the environmental impact of IT operations. Projects are assessed in terms of impact, cost and business value and a high level roadmap is established. sustainableIT offers a core set of services that include project management, technical implementation and post implementation support on our supported technologies. We help organisations map out and establish a verifiable and achievable roadmap to establish the sustainable IT service. These are clearly articulated with effected stakeholders. Our methodology ensures that continuous monitoring and improvements take place and clients are engaged in addressing the right issues at the right time at each step of the process. sustainableIT’s consulting services deliver a programme of sustainable computing based on market leading expertise and experience. The process moves from measurement and analysis throught to transformation of the IT service for those organisations seeking to embrace a sustainable IT strategy. Sustainability and efficiency fit hand in glove. IT sustainability starts with us.